HBV is the major causative agent of acute and chronic liver infection, cirrhosis, and primary hepatocellular carcinoma worldwide. Infections can be expedited through several routes, including direct contact with blood, oral fluids or other secretions, indirect contact with contaminated instruments, equipment, contact with airborne contaminants present in either droplet splatter or aerosols of oral and respiratory fluids. It has been documented that HBV infection is the most important infectious occupational hazard in the dental profession. To decrease the burden of hepatitis B infection among dentists, it is recommended that the dental professionals should receive immunisation against hepatitis B virus. Department of Microbiology, Saveetha Dental college and Hospitals organised a Hepatitis B vaccination camp on 05.12.2018 at the college premises. 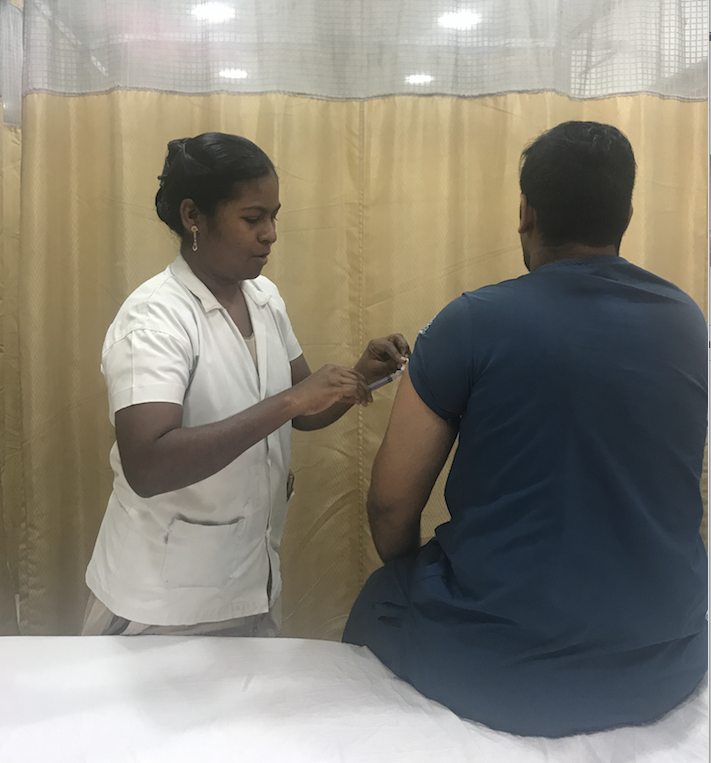 The faculties emphasised the importance of Hepatitis B vaccination and to maintain the protective antibody titre to be safe while handling patients. Undergraduate and Post graduate dental students who are not immunised were vaccinated. A total of 150 students were vaccinated at a nominal cost. Immunization cards were also issued to them to keep track on the next scheduled dose.